Successfully Added Warlock PEAS Vape Pen - Sleek And Mini Design, 10W, Airflow Switch, 1.8-Ohm, 380mAh, 1.5ml Tank, USB Charging (Black) to your Shopping Cart. If you are looking for a tiny vape pen, the Warlock PEAS is perfect for you. This extremely compact e-cig can be easily slipped in your pocket. It furthermore comes with an intergraded USB output. Thanks to this, you’ll be able to easily recharge your device at any laptop of PC. Its compact design is very durable and stylish. With this vape pen, you’re sure to grab the attention of fellow vapers. You’ll be able to carry it along anywhere you go. From now on, you’ll always be able to enjoy a relaxing vape. This mini e-cig features a 1.5ml tank that can be filled up with your favorite tasting liquid. It features a simple design and is easy to use for beginning vapers. This 10W vape pen is guaranteed to offer a great and relaxing vape. Whether you’re new to vaping or an advanced vaper – this electronic cigarette is sure to meet your demands. 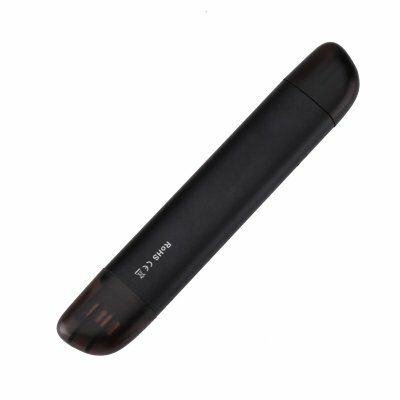 Thanks to its intergraded 380mAh battery you’ll be able to enjoy multiple vaping sessions. No longer you’ll have to worry about battery life while vaping the day away. With its airflow switch, this mini e-cig allows you to easily adjust the taste of your upcoming vaping sessions. The vape pen furthermore features 1.8-Ohm resistance thanks to which it allows you to create large vapor clouds. This mini vape pen is perfect for everybody that wishes to enjoy a tasteful vapeevery now and then. Simply slide it in your pocket, and you’ll always have the possibility to take a hit of your favorite e-liquid.